The Delph Market opened in Caldas da Rainha in 2011. Located at the city center, the store bets on what brought Caldas to the map – delph. Nowadays the store only sells Portuguese delph brands, local and from several factories placed in all territory expanding their product offer. 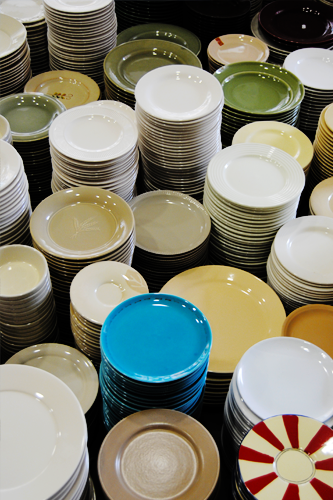 Delph Market gives you a wide range of products to choose from, utility ware, decorative ware, among others. It differences itself by its products that can actually be purchased per kilo. An initiative that allows you to buy everything you need to equip your kitchen and more. If you are looking to surprise someone with a special lunch or dinner, Delph Market is the solution!